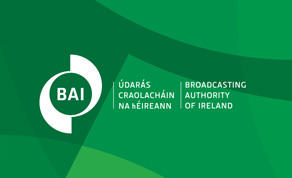 The Broadcasting Authority of Ireland (BAI) has published the newly updated BAI Access Rules, designed to increase the understanding and enjoyment of television by people who are deaf, blind or partially sighted and those who are hard of hearing. The Access Rules apply to broadcasters within the jurisdiction of Ireland and set out obligations on broadcasters in respect of the provision of subtitling, Irish Sign Language and audio description. The 2019 Rules include revised subtitling targets for a number of broadcasting services and, for the first time, the introduction of audio description and Irish Sign Language targets for Virgin Media One. Other notable provisions of the revised Rules include the setting of specific subtitling targets for broadcasters during peak time viewing and the setting of incremental annual increases for each of the relevant services in respect of Irish Sign Language targets. The Rules come into immediate effect and set out targets for the period 2019 – 2023. Click here to read the new BAI Access Rules.